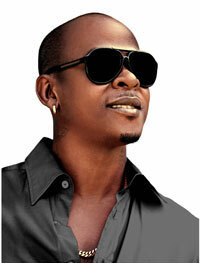 Dancehall star, Mr. Vegas is without a doubt one of Jamaica’s most versatile recording artistes. Throughout his career Vegas has made his mark on the international music scene by consistently serving up an eclectic mix of Reggae and Dancehall hits. His impressive discography that includes musicals gems such as Do You Know, Heads High, Love Your Self, I Am Blessed, My Jam, and Thinking Out Loud has earned him a place in the annals of Jamaican music. As fans eagerly await the release of his of his upcoming album titled Lovers Rock & Soul the hardworking artiste/producer is on a promotional binge. “The album is getting great support from DJs all over the world, and the response from the fans has been fantastic. The pre-sale orders are very good, and the album is also getting a lot of buzz on Social Media,” said Vegas. Vegas is getting ready to drop the second single off Lovers Rock & Soul. The song he has chosen is none other than his emotionally charged cover of Cyndi Lauper’s 1983 smash hit Time After Time. Lovers Rock & Soul will be released on Friday, October 30, 2015.